We are beginning to wind down on our Bake Craft Sew Decorate series. Remember, we are joining some of our fellow bloggers to host a month long celebration of tutorials for Christmas! Cindy will be doing sewing ideas on SkiptomyLou, while Mique from Thirty Handmade Days, will be posting craft ideas, and Leigh Anne from Homebased Mom will be posting delicious edible gift recipes so follow along all month long! I’m Rebekah from Charming Imperfections where we see beauty in flaws, create without reservation, make awesome decisions for our futures, and learn to love the things we already have. Now, to introduce this project: this year I am obsessed with Scandinavian Christmas decorations on Pinterest. It’s literally all I’ve been pinning for the past few months. 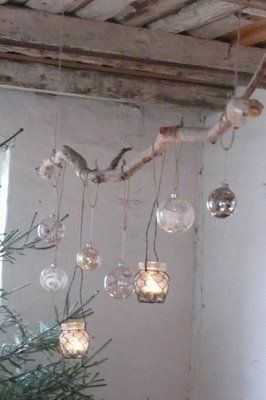 One of those pins was this amazing Old World light fixture with jars hanging from a tree branch. It is just stunning, so, of course, I had to replicate it. 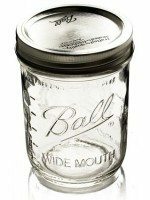 To begin making this project, we’ll cut out pieces of chicken wire to wrap around the mason jars. This makes them easy to hang and looks perfectly rustic. 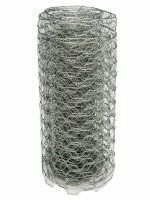 The size of the chicken wire strips should be about 10” x 5 ½”, or large enough to cover your mason jar. Next, wrap the chicken wire around the jar and twist the ends together to secure it. Fold in the extra from the bottom and attach that as well. At this point, I just unraveled about a 6” piece of the chicken wire to act as the “handle” for the Mason jar and attached it to the top. Did you find a beautiful branch to use? Mine has some lovely moss growing on it 😉 If you are concerned about sterilization, I’ve heard steaming works very well. Or, you could just give it a “lick and a promise” with a brush. Use your twine to hang the Mason jars at irregular heights onto the branch, and take a moment to admire how your project is coming along. Now, screw a couple of wall hooks into the ceiling about as far apart as your branch is wide. 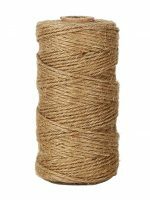 Then, wrap some twine around the branch and loop it onto the hooks. Add your candles. Originally I went with real candles, but found it to be a pain to climb up a step ladder every time I wanted to light/extinguish them, so fake it is! And that is all there is to making this rustic tree branch candle holder! Wowza! If you are like me and searching for ways to add simple, rustic beauty to your holiday decorations, then this is the perfect little DIY for you. The branch brings an element of nature while the candles remind us of the light and warmth we feel during this very special time of year. If you like the Scandinavian Christmas look (one of neutral/natural charm) then be sure to pop over to Charming Imperfections where I’ve been busy making tons of projects just like this one! Thanks so much Rebekah! Are you into the Scandinavian Christmas trend? It’s such a fun vibe and change from traditional Christmas! Be sure and check out Rebekah’s blog, Charming Imperfections and follow her on Facebook, Pinterest and Instagram! Thank you so much ladies for the chance to share this project! Happy holidays!